Since 1993, the Constitution has guaranteed the right to travel for abortion, but many women cannot exercise this right due to an array of legal, social and economic barriers. This includes women on low incomes, women with disabilities, lesbian and bisexual women, and women with travel restrictions, many of whom are entitled to no more than an allowance of €20 a week. Providing accessible abortion is essential if women are to arrive at economic and political equality, and repealing the Eighth Amendment is imperative if the poorest, most marginalised women are to arrive at economic and political equality. While many women are able go abroad to access abortion services, most migrants and asylum seekers do not have this option due to travel restrictions and lack of resources. As a result, the Eighth Amendment disproportionately affects migrants who are left with no help when facing an unwanted or crisis pregnancy. Many migrant women will access medical abortion using online websites. They are particularly vulnerable in these circumstances as they not only risk criminalisation but have the added risk of deportation, meaning they are less likely to access medical care if something goes wrong. Non-Irish citizens are not allowed to vote in the referendum on May 25, but the outcome will directly affect their reproductive rights and bodily autonomy while they reside in Ireland. It is up to Irish voters to show compassion and dignity for migrants by choosing to repeal the Eighth. 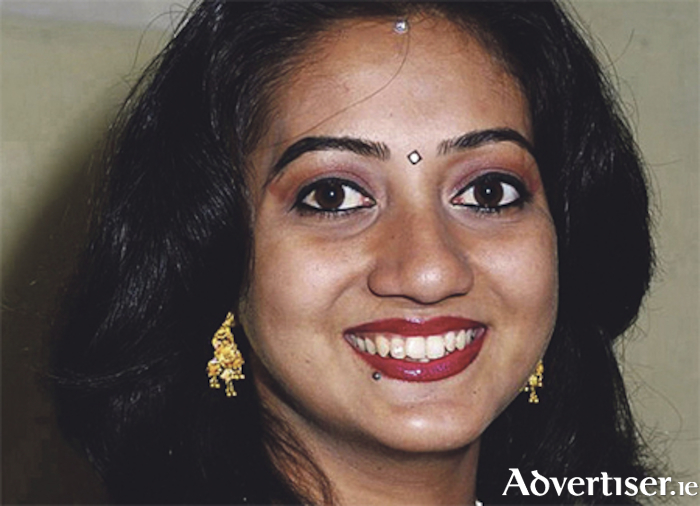 We need to remember Savita Halappanavar, Aisha Chithira, Miss Y, Bimbo Onanuga, and many other migrant women who have died, when we vote on May 25. As a minority ethnic group, Traveller women are one of the most marginalised groups in Ireland. They are also a group most at risk of experiencing poverty in Ireland. They face additional barriers when compared to women in the general population and experience discrimination based on gender, ethnicity, socioeconomic status, and other factors. For Traveller women who must go abroad due to a crisis pregnancy, the stereotyping, stigma, and discrimination they experience presents a further burden. Recession and austerity have had a disproportionate economic impact on women in Ireland. The gender pay gap has widened and most low paid, part-time and precarious workers are women. The Eighth Amendment denies working class women access to health care which they can afford, women from a lower socio-economic background cannot just travel abroad and book flights. They often don’t have the option of engaging childminders or taking time off work. If they can afford to go across the water, it will most likely be alone because they cannot afford to bring their partner. Many would not be able to afford to stay another night out of the country, so it is straight back to Ireland with added distress and no real chance of follow up care. The Eighth Amendment ensures these women are abandoned at a time when they need help the most. The Eighth not only impacts cis-gendered heterosexual women. It also affects the lives of lesbian and bisexual women, trans men, and those with non-binary genders. There are similarities between the obstacles transgender people and people seeking abortion services face in terms of being forced to travel to another country to access basic healthcare. It was only in 1993 that Ireland decriminalised laws which punished sexual activity between men, but 25 years on and the Government continues to criminalise LGBT people by making it a criminal offence to have an abortion. The Eighth Amendment creates additional barriers to care for people with disabilities, including inaccessible travel options and the expense of travelling, where for people with disabilities, poverty is more likely. Women with disabilities often have various health needs which makes abortion more medically complicated. Pregnancy for people with a disability can often mean further disability or even death. Lack of abortion access has severe ramifications for their mental and physical health, as they are either forced to carry their pregnancies to term, or resort to unregulated measures to procure a termination. A ‘Yes’ vote gives women with a disability the privacy they need to make an informed decision about their healthcare in Ireland. By removing the Eighth Amendment, Ireland can finally provide proper maternal healthcare, including safe abortion care for those women who need it. If we do not remove the Eighth Amendment from the Constitution, nothing can change, and the harm to women’s health will continue. This is an issue for everyone in Ireland. It is an issue that matters to everyone. It is about how we treat pregnant people in Ireland, our mothers, our wives, our partners, our sisters, our nieces, our daughters, our friends and ourselves.